The liquor smells wonderful and one of the serving suggestions is to drink it as a chilled shot. I’m more of a sipper, myself, so I went with the Apple Jack-O recipe on the package, which tastes just like apple pie. I can’t recommend it enough. Add ice cubes as desired. Serve. As I said, I’m not a beer drinker, but the recipe card on the bottle also suggests a mixed drink using lager. Honestly, I’m not sure if it’s just that I don’t like beer, but it sounds kind of gross. So please, if anyone else tries it, let me know what you think! 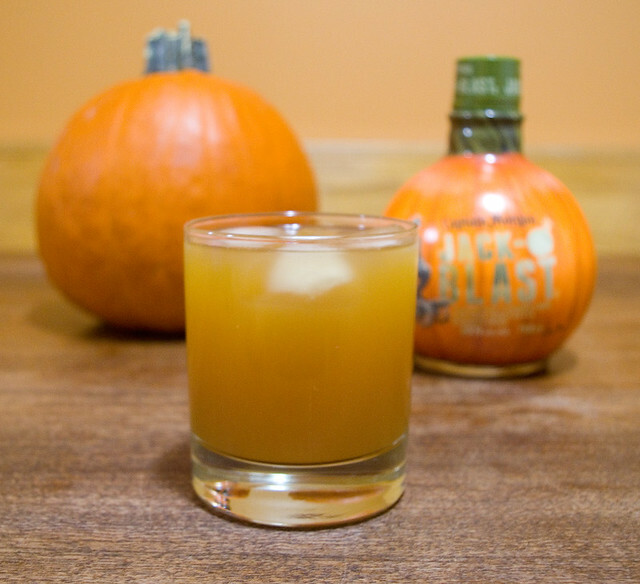 Posted on September 27, 2018 October 4, 2018 by owntwohandsblogPosted in CookingTagged alcohol, apple, apple pie, apples, beverages, cider, drinks, food, imbibing, pumpkin spice, seasonal.